An LED weatherproof linear light is one of the lighting solutions on the market that can be very ideal for lighting open spaces. By using such products, spaces become safer, livelier and more pleasing. 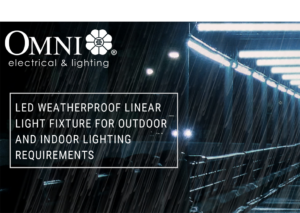 However, not all LED weatherproof linear lights are created equal, and very few have the capability to provide uniform lighting while delivering reliability, convenience, and affordability all at the same time — benefits that you can enjoy with the all-new Omni LED weatherproof fixture. 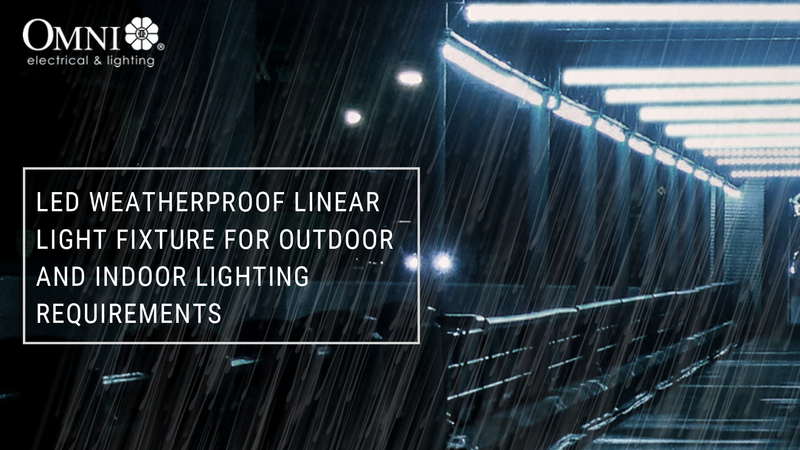 This July, we are proud to introduce another Omni lighting innovation — the Weatherproof Fixture — an LED weatherproof linear light designed to replace your traditional weatherproof luminaires. Where conventional types of bulbs and lamps such as incandescent and halogens are heavier and would need to have enclosed fixtures in order to be used outdoors and under wet and damp conditions, our LED weatherproof linear light, on the other hand, is light and has a more modern look with its integrated slim design and IP65 rating. This means that it can cater to more applications such as car parks, walkways, canopies, and other semi-outdoor areas. And because of the highly-efficient SMD LED chips that are built in the fixture, our weatherproof linear light produces a more uniform light output than its other counterparts, giving you a better area coverage. In addition, unlike other weatherproof linear lights, the Weatherproof Fixture allows for easier installation with its stainless mounting clip. It is also more convenient for users as the whole fixture is already pre-wired and can be electrically connected without the need for any tools. 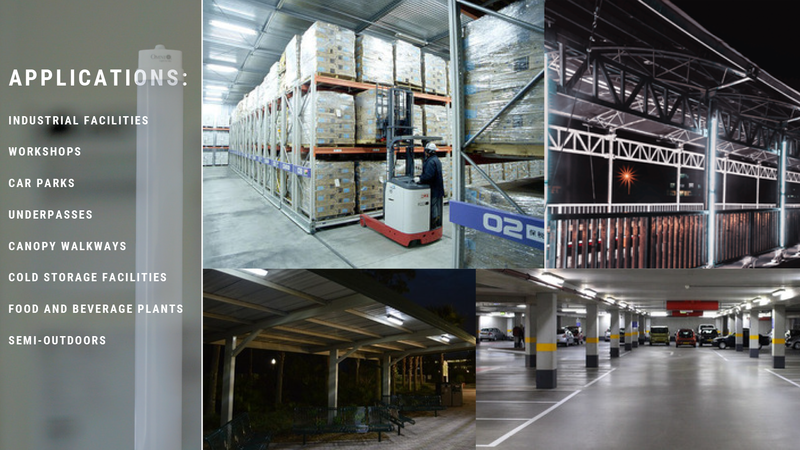 Besides its IP65 rating, our LED weatherproof linear light is also capable of working under a wide range of temperature — from -20 to 50° C — making it suitable for lighting cold storage facilities, workshops, and food and beverage processing plants. Our weatherproof linear light is available in 3 wattages (18W, 36W, and 45W) so you have more options to choose from depending on your lighting requirements and preference. And because we know that reliability is a key factor when measuring the performance of any product, we designed our LED weatherproof linear light to function with 70% lumen maintenance at 25,000 hours. 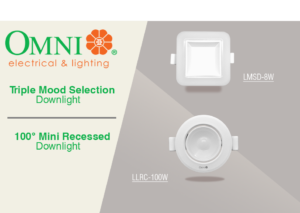 With the all-new Omni LED Weatherproof Fixture, you are guaranteed with a quality lighting performance, while reducing maintenance and energy costs.